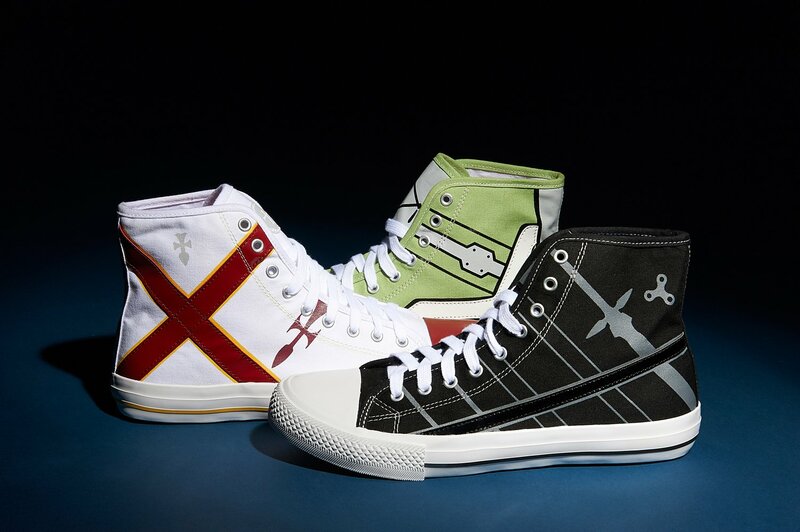 Put on your high-tops and step into the world of SAO! 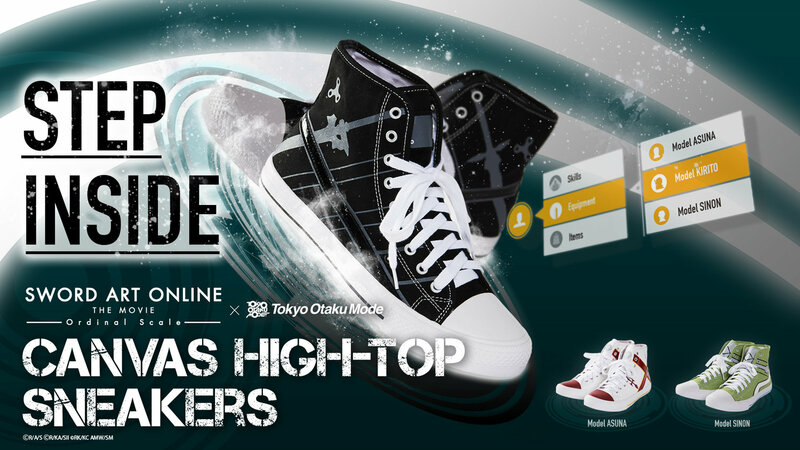 Part IV of Tokyo Otaku Mode’s Exclusive Sword Art Online Merchandise Collection features three stylish high-top sneakers inspired by the outfits of Kirito, Asuna, and Sinon! 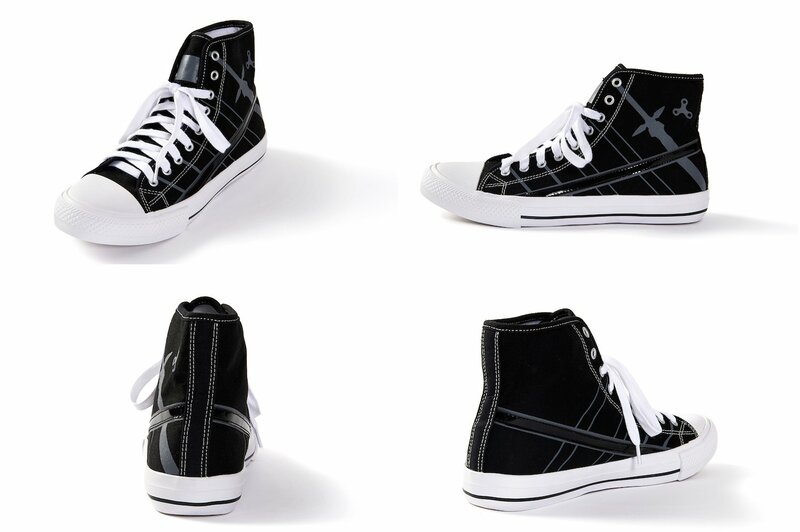 Inspired by The Black Knight’s outfit shown in the Aincrad Arc, the Kirito-Hi model features a black canvas base that is decorated with the motifs on his right chest and shoulder. 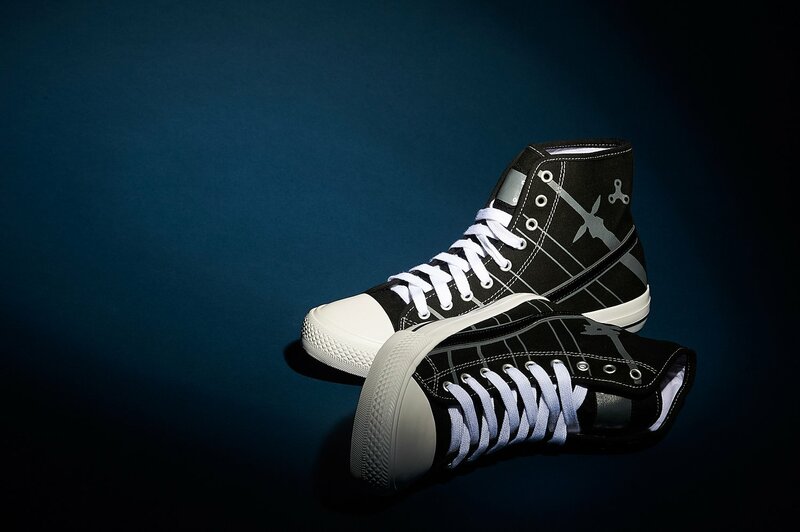 Sleek black enamel “plates” similar to what Kirito uses have been applied to the tongue for extra impact. 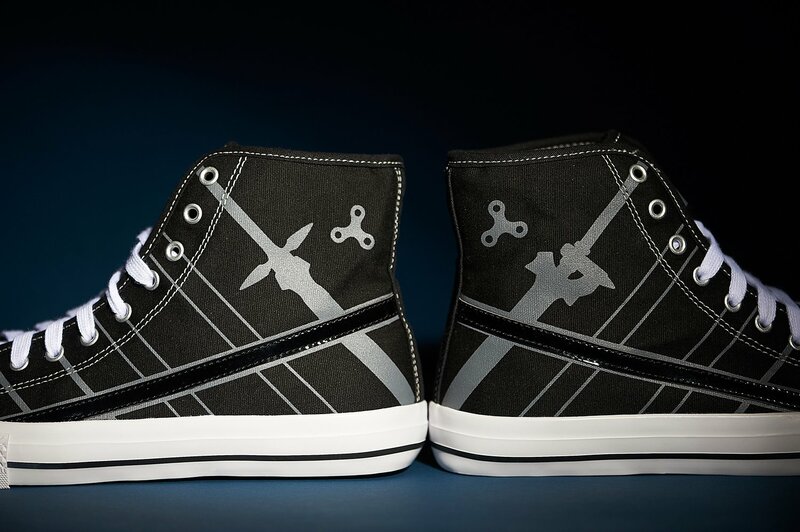 Different designs have been printed on each foot to recreate Kirito’s signature Dual Blade style; the right features the Elucidator, while the left holds the Dark Repulser. 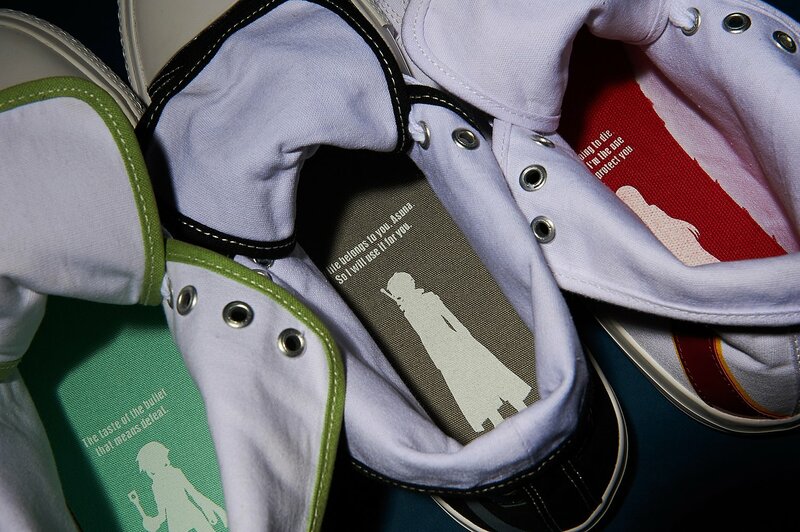 With Kirito’s silhouette and one of his most memorable lines printed on the insole, the Kirito-Hi offers users with a chance to step into the world of Sword Art Online every day. The Asuna-Hi model is based on Asuna’s Knights of the Blood guild outfit in the Aincrad Arc. 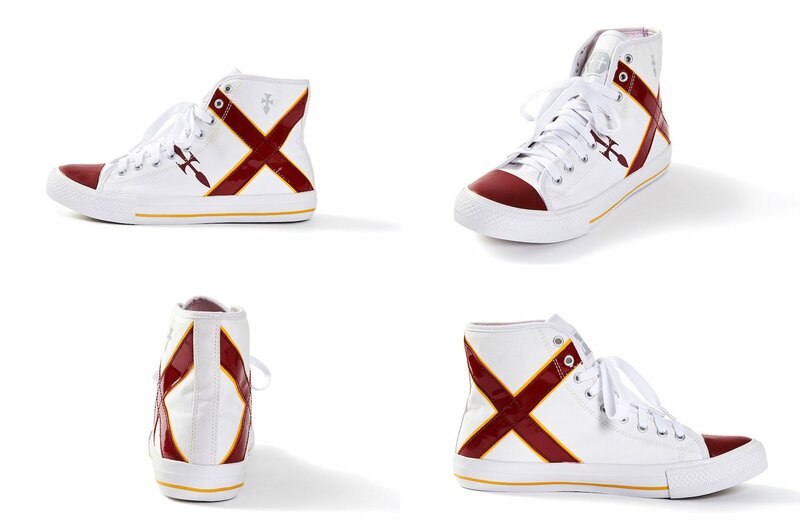 In addition to the red crosses that have become her trademark, gray plates holding additional crosses on the tongue also add the this model’s visual appeal. 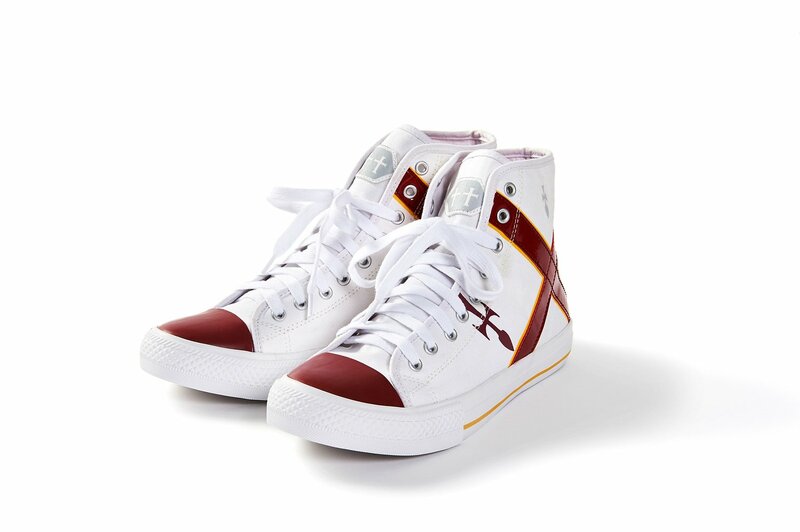 The vivid red and gold colors on the white canvas are sure to look great with a wide variety of outfits for both men and women. Of course, the Asuna-Hi model also features Asuna’s silhouette and one of her most memorable lines. Start your day off right by seeing Asuna before you step out! 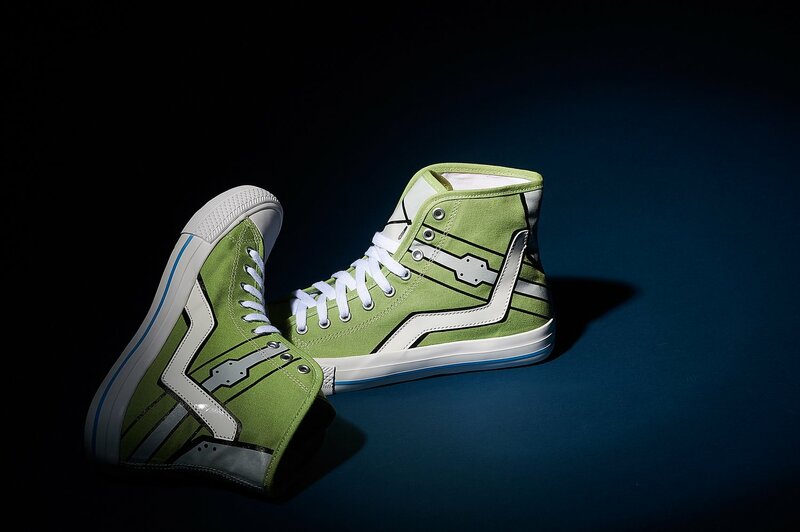 The Sinon-Hi shows off a rare and incredibly eye-catching canvas color that is based on Sinon’s outfit in Gun Gale Online. 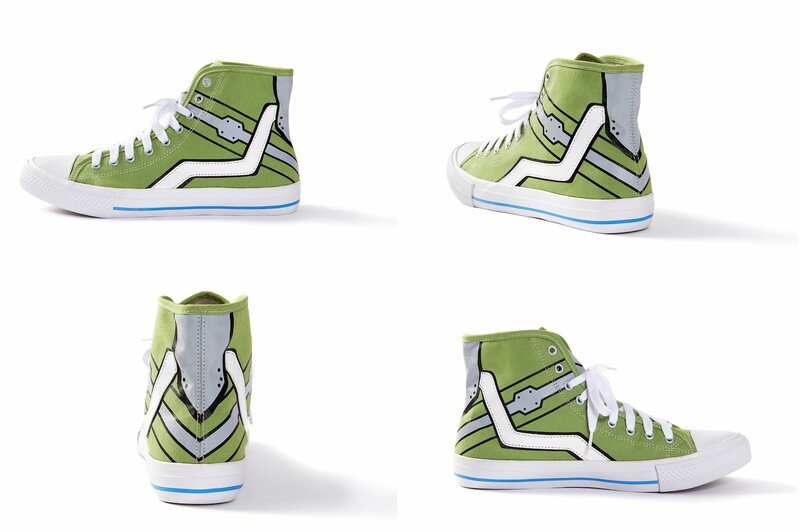 The color of her hair is also included as a highlight on the outer sole and serves as special detail for all Sinon fans to enjoy! White enamel lines have been included to recreate the image of her sleeves, and the icon from her scarf can be found on the tongue. 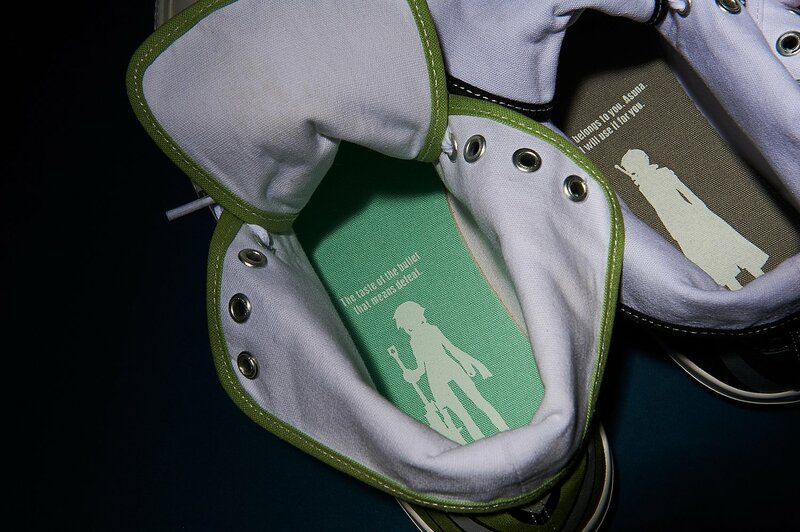 Like Kirito and Asuna’s models, the Sinon-Hi also includes a print of Sinon’s silhouette and one of her memorable lines on the insoles. No matter how long you might take in the morning, Sinon will be there waiting, armed and ready to take on the world with you. Sizes can be selected on the Checkout Page. 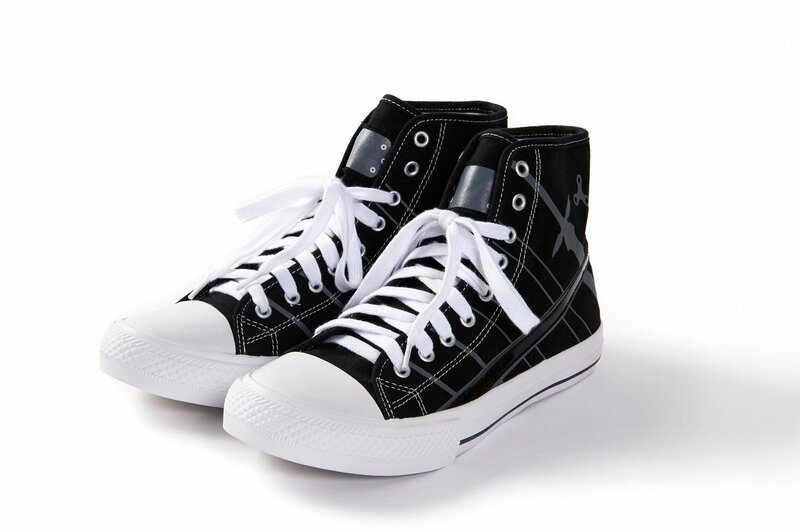 Sizing information is provided as a reference for sizing purposes. 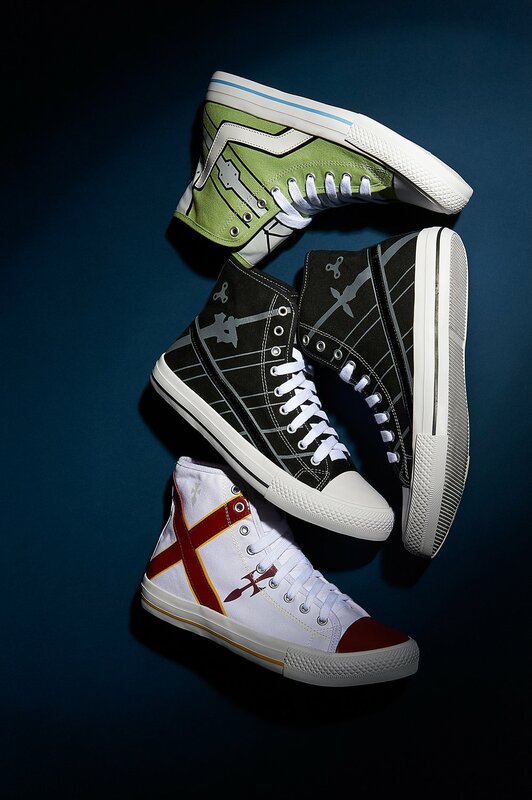 There may be variations in size between manufacturers, styles, and shapes. No returns or exchanges based on sizing issues will be accepted. Taxes are included in all listed prices. A: Products are scheduled to be shipped out from 2018 June.